We are recognizing Opening Day with our second edition of Dogventures After Dark. In this special post, we are pitting Halifax Peninsula’s four off-leash sports against each other in a head to head competition. 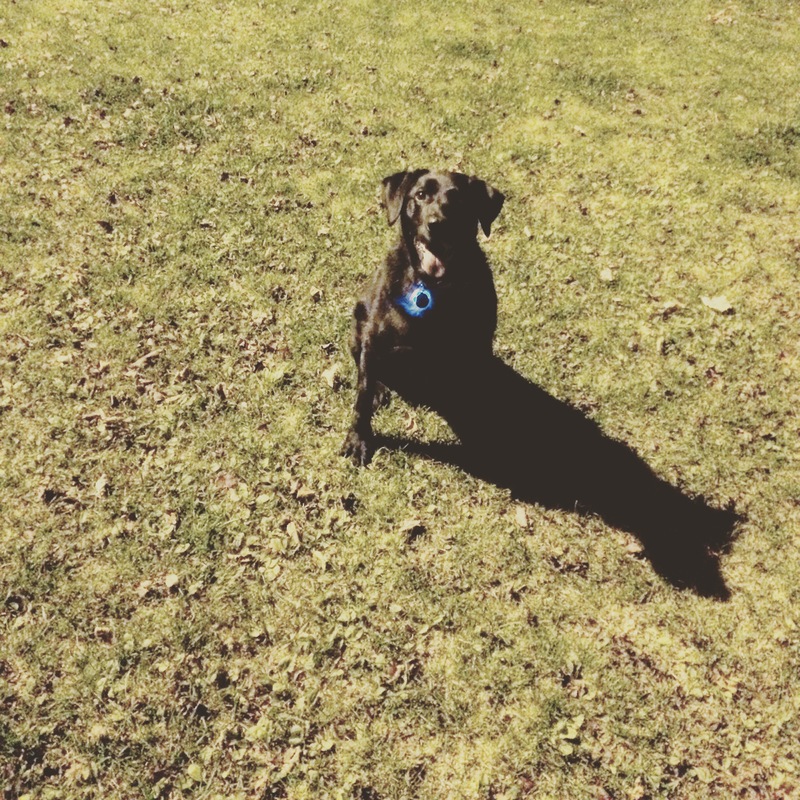 We wanted to know which field is best for after-dark dogventures. The four contenders are (in no particular order): Conrose Park, Larry O’Connell Field, Lou Goddard Ball Diamond (aka Highland Park Baseball Field) and Merv Sullivan Sports Field. Conrose Park is located on Conrose Avenue. We use the parking lot at the corner of Connaught Avenue and Jubilee Road. Conrose Park is a great spot for a muddy playdate. It’s also decent for an after-dark fetch game. The lighting is passable, and there are fences along the northern and western perimeter of the ball field. Larry O’Connell Field is at 6691 Fourth Street (or at the corner Newton Avenue and Chebucto Road). This park actually becomes “off-leash” for the season on October 1st, rather than November 1st. It has excellent fencing, including latched gates. The biggest problem is it’s lack of lighting. Bring a flashlight. 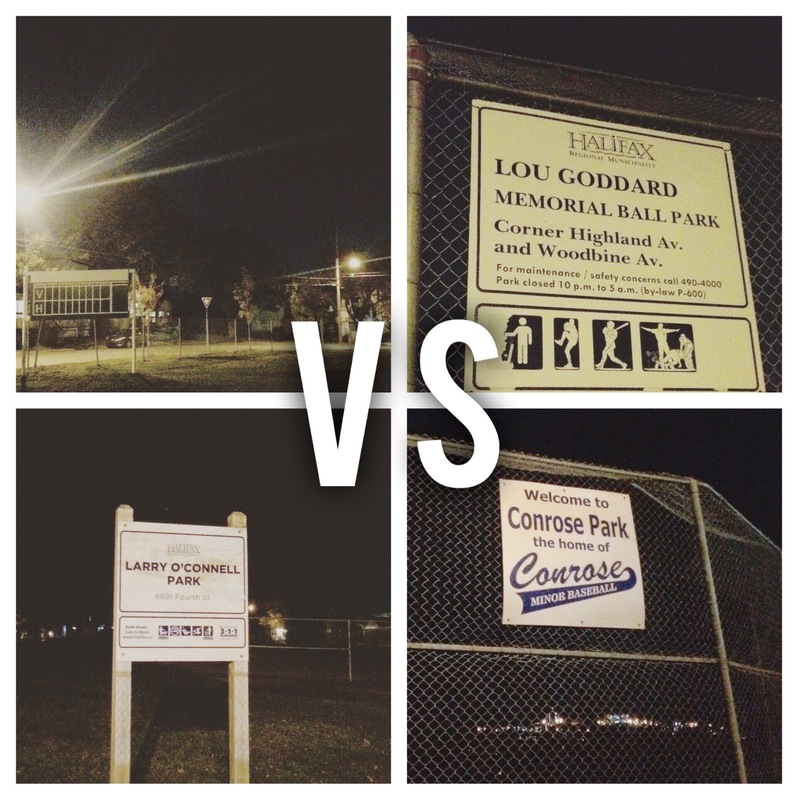 Lou Goddard Ball Diamond, at Highland Avenue and Woodbine Avenue in the North End, scored our highest overall rating. It’s a smaller space, but the lighting is decent, a fence goes around the entire perimeter with only a few gaps, and you’re surrounded by quiet residential streets on all four sides. This field feels much safer than all the others. Merv Sullivan Sports Field (at Novalea Drive, Glebe Street and Kencrest Avenue) ranked lowest on our list. There is no lighting, no fencing, and lots of hidden nooks. As a consequence, this field does not seem safe for after-dark dogventures. So there you have it. Lou Goddard Ball Diamond proves once again that small can be mighty! Stay safe out there during these dark winter months, friends.